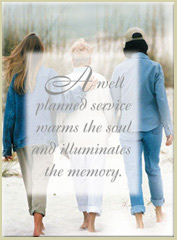 For specific information about this service or any other related funeral questions, we are available for appointments either in your home or at our facilities. You may call or write for information. Advance planning makes good sense, and is an economically sound decision. For additional information, please call 508-339-2000. Can I place my records on file over the funeral home web site? If you have any questions about preplanning, feel free to contact us by phone.